In Episode 10 of Season 2, “How Do I Love Thee? Let Me Call You Back,” Sam and Diane dance circles around the eternal dating question: “What are we doing” aka “Where are we going?” aka “Do you love me?” (of course, it’s Diane’s idea to discuss it in the first place). In one of the rare times that we see Diane’s unbottoned side, if you will, Sam goes to Diane’s apartment to find her a few wine bottles deep. After pointing out his lack of intelligence a few more times, they decide to meet back up in a week and have the talk. The DTR (“Define the Relationship”), as my friends and I have always called it. 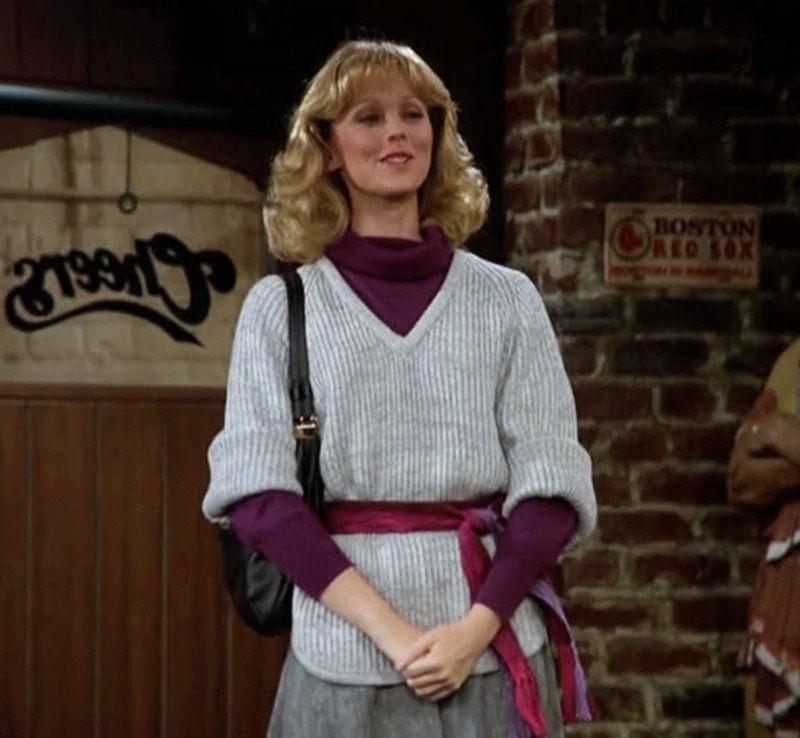 Throughout the episode Diane wears a few short-sleeve knit sweaters. But of course it ends wtih a Carla Tortelli gem. Just go watch it on Netflix already. 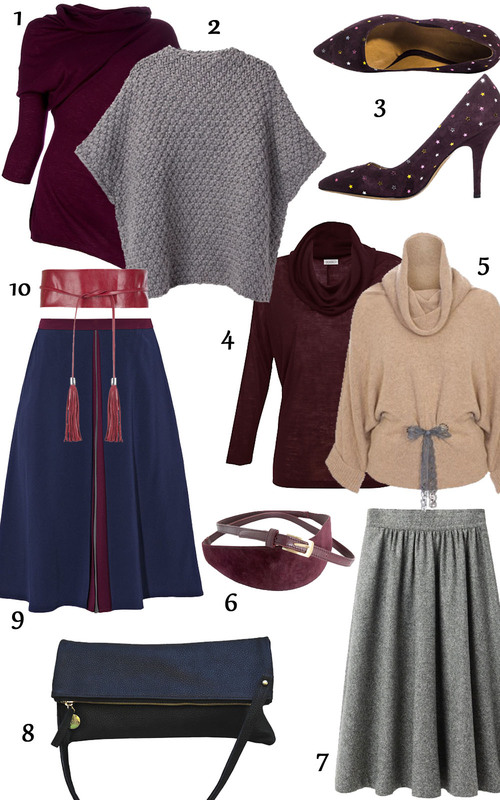 Here is Dian’es wonderfully un-Diane outfit: chunky sweater, grey pleated bomber jacket, and drawstring pants. So good. 1. Iro Fabiola Biker Jacket. 2. Yoon Colorblock Sailing Sweater, Anthropologie. 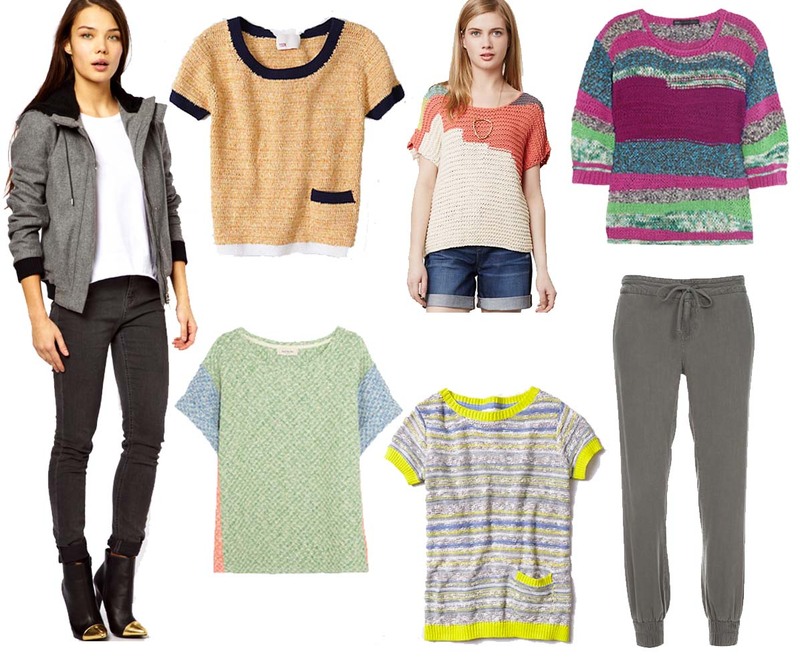 3. sir sir by correll correll Alva Chrome Top, Anthropologie. 4. Marc by Marc Jacobs Anarchy Striped Cotton-Blend Sweater. 5. Paige Drawstring Trouser. 6. Sparrow Sunstrip Pullover, Anthropologie. 7. Paul & Joe Argovie Cotton-Blend Honeycomb-Knit Sweater.